There is a constant arms race between security companies and burglars. Gone are the days where a hefty lock and solid door would be enough to keep burglars out of your house; the home invasion underworld has become far too sophisticated. Luckily enough, there are a series of technologies and gadgets which can help to make our home secure, either by putting burglars off altogether or alerting the surrounding area or authorities to their presence! In this blog, we will offer a review on precisely what steps you can take to secure your home. If you have any questions or would like to book in a service from SSH Fire and Security, give us a call now on 0808 164 0280. While we could create a list of about 500 things which can help to make your home secure, we are going to discuss realistic and affordable solutions. For example, we aren’t going to recommend you install bulletproof glass and hire private security! As you can see, each of these technologies increases in value as we move forward, as clearly there are measures which are not affordable for everyone. To begin our blog post, let’s start with video doorbells! Video doorbells have existed for a long time, but their functionality has always been incredibly limited. 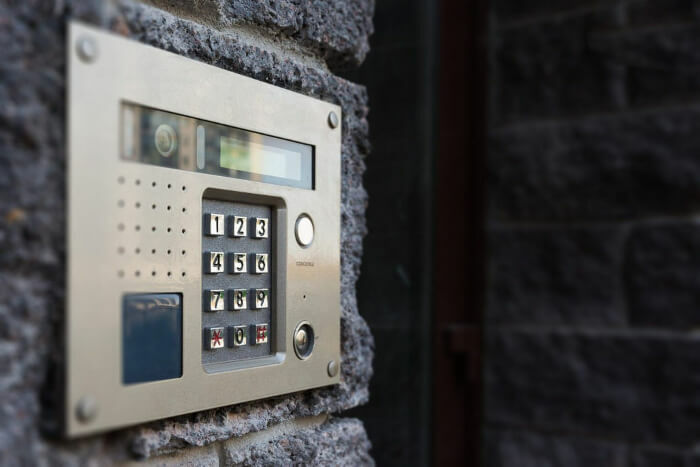 In recent years, with the evolution in technology not only in regards to video doorbells but also to smartphones, they have become a much more viable method of protecting your home. In essence, video doorbells allow you to get a clear view of any visitors, welcome or otherwise, from anywhere. You can also converse with the visitor using your smartphone, which leaves you able to deal with salespeople or any other unsolicited visits without having to answer the door. However, perhaps the most significant security feature of the doorbell is the motion sensor capability which is available from certain manufacturers. This means that even if your home is empty if someone approaches the doorbell you will get a notification on your phone. This means you can be alerted when someone is at your front door and get a crystal clear view of what is going on, and you cant take the necessary steps to keep your property secure. The fantastic thing about CCTV cameras is that they aren’t only useful in the event of a burglary, but they are a tremendous deterrent. It may well be the case that simply by being there, cameras will do enough to keep your home safe. This is because if you are a burglar, you are looking for an easy haul. 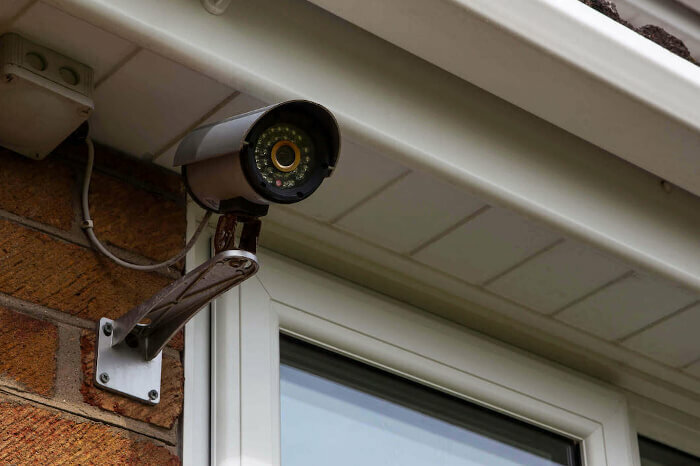 Not only do CCTV cameras make it much more likely that a burglar will be caught, but they suggest the owners of the property in question are conscious of security and other challenges may lie ahead. However, if burglars do decide to have a go at your home, CCTV cameras can keep you in the loop of what is going on. If you are on holiday, you can check in remotely to see precisely what is happening in and around your property, so that you can alert the proper authorities. You can also opt to go for motion sensor features similar to the doorbell, meaning you will always know when there is suspicious movement around your home. While this is unusual, as home invaders tend not to strike when they know there are people inside, CCTV cameras can also help you to track what is going on around your property when you are inside and suspect suspicious activity. This means you can phone the police before they are even inside the building. To speak to one of our technicians about our CCTV solutions, give us a call now. Everyday regular locks are sufficient for the majority of burglars; after all, they will likely look for other weaker points of entry (if they exist), bypassing the front door altogether. However, there are a number of burglars who aren’t opportunistic. This is their ‘profession’ which means they use sophisticated techniques. This kind of burglar can get through regular locks in a matter of minutes, if not seconds. In fact, regular locks aren’t even that strong, meaning even an unskilled burglar could bash one in with enough force. This is what we mean by the arms race; to truly protect your home you need something more advanced. This is where door entry systems come in. Not only are these systems much more secure than a regular lock, meaning they will be significantly more resistant to blunt force, but they often do away with keys altogether making them unpickable or, as is more likely, susceptible to stolen keys. Looking to Secure Your Home? If you are concerned with home security and are interested in upgrading your defences, look no further than SSH Fire and Security. With years in the business as well as experienced technicians using and installing the most modern equipment, we will make sure that your home becomes a fortress. With affordable and practical options for all budgets, it is always worth giving us a call for that extra peace of mind. We also offer free surveys, so that you can hear what we have to say before making any decisions; completely free of charge! For any enquiries or to book in a job, give us a phone on 0808 164 0280. Alternatively, fill in the contact form on this website, and one of our personnel will be in touch as soon as they can.